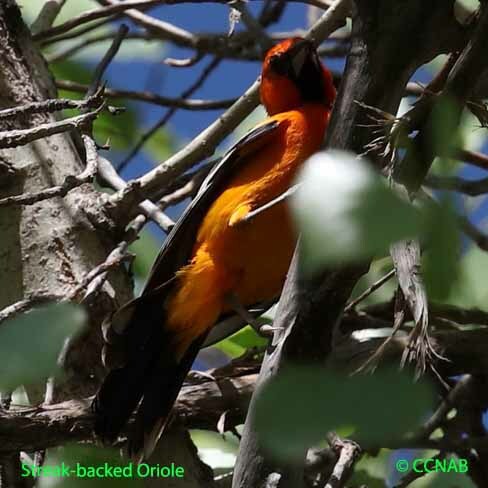 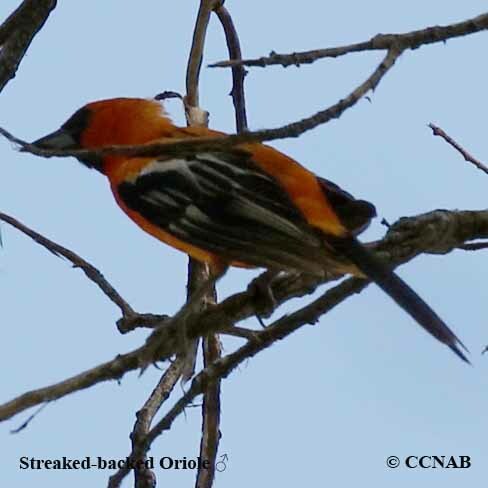 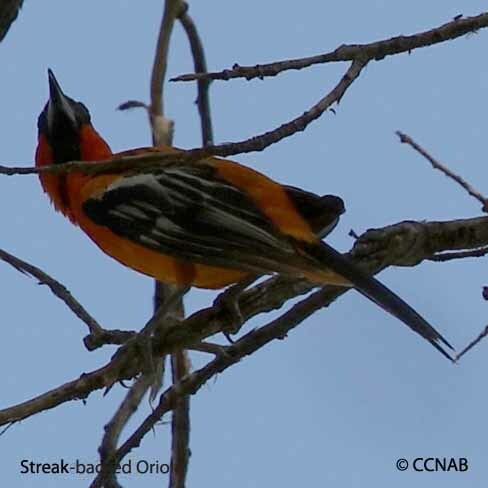 The The Streak-backed Oriole is a native bird to Mexico and Central America. 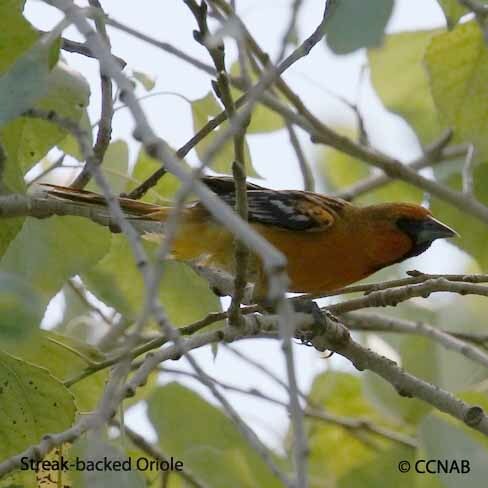 It has made its habitat mostly on the Pacific coast side of the countries. 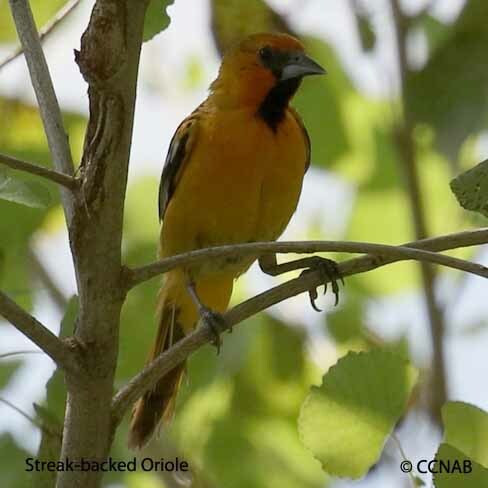 This brightly colored orange bird can usually be found along rivers, or near bodies of water. 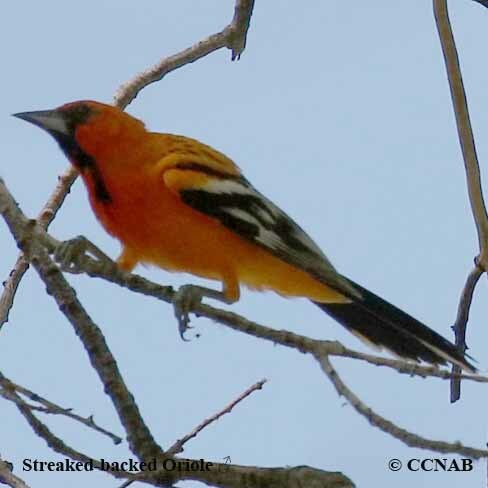 It has been identified as a vagrant to the southwestern US states.